Our coaches are caring and capable. Our programs range from pre-school – through adults, non-competitive and competitive focus. We encourage our gymnasts to learn through the experience of trying new skills and celebrating effort. We take A LOT of extra courses in order to coach your children. Here are a few: Concussion Training, Making Ethical Decisions in Sport, Conflict Management, True Sport Clean 101, Respect In Sport, First Aid/CPR, in addition to our sport specific courses. Gymnastics in any form such as artistic, tumbling, trampoline, acrobatics, aerials, and RHYTHMIC GYMNASTICS is considered a dangerous activity. We participate in continuing education to keep your kids safe in the gym and involved in physical activity for years to come. Michelle Anderson is a former National level athlete, a certified Level 3 NCCP coach, a NCCP/Gymnastics Canada certified learning facilitator for Rhythmic Gymnastics and a Level 2 Course Conductor. As a gymnast she competed across Canada, winning provincial and western Canadian titles, as well as consistently ranking 8th-12th in Canada. Michelle has coached at all levels, with groups and individuals, for different clubs in Edmonton and Calgary, taught at national health and physical education conferences and has provided sport outreach and training to clubs throughout Alberta. Michelle travelled to Switzerland for the 2011 World Gymnastrada, helping to choreograph the routine as well as performing with the team. She is mom to two daughters and a son who often visit the gym. Shaunna Cline is a graduate of the University of Alberta Physical Education program with certificates in Adapted Phys.Ed, Athletic Therapy and Dance. She also has certification in Artistic Gymnastics, Active Start, Special Olympics, Circus Instruction through National Circus School and is a fully certified Level 3 NCCP coach for rhythmic gymnastics. 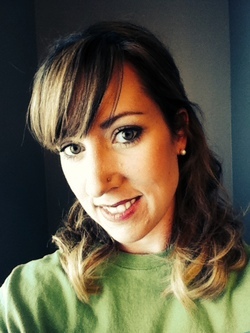 Shaunna is also a Gymnastics Foundations Facilitator for Gymnastics Canada. To date, Shaunna is the only female recipient of the Red Deer Firefighters Kendall Dunkle Minor Sport Coach of the Year awarded in 2008. She received the Barbara Miller award from Rhythmic Gymnastics Alberta for long-term dedication promoting the sport of rhythmic gymnastics. Shaunna has been fortunate to accompany teams to many competitive and non–competitive events including Alberta Winter Games, Western Canada Summer Games, Canadian National Championships, Canada Winter Games, Palm Springs USAIGC competition, National Gymnastrada and World Gymnastrada. Shaunna has special interest in youth mental health and coaches from a mental health perspective utilizing her experience gained while working on Child Psychiatry at the University of Alberta, Royal Alexandra and Red Deer Regional Hospitals. She is the mom of five children and three dogs. In her spare time, she choreographs routines in her sleep and dreams about restoring her ’78 Westfalia and completing her Masters of Arts in Counselling Psychology. Scotia Cline is the middle child of five so she knows how to get along well with others. She loves coaching enthusiastic rhythmic gymnastics students of all ages. 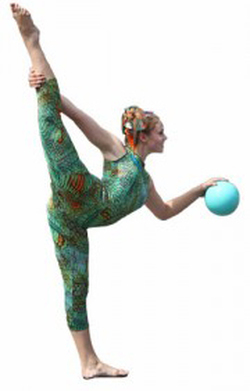 Scotia is a former National Level rhythmic gymnast, having competed as both an individual and a group competitor. Her favourite rhythmic gymnastics memory is recalling performances in Austria as a member of Red Deer Rhythmic Gymnastics (CARGO) 2007 World Gymnastrada Team. She has completed her Level 1 rhythmic Gymnastics certification. She recently graduated from U of Calgary Bach. of Arts in Sociology and Communications and has her bilingual certificate for French. In the event of a crisis in the gym, Scotia is prepared as she has earned her Level 1 training in Disaster Management for the Red Cross. In her spare time, she also enjoys playing rugby, contemplating adrenaline sports and walking her dogs. Madisyn is returning to CARGO as Level 1 coach this season. She is formerly Provincial Level 6 rhythmic gymnast and was a member of Red Deer Rhythmic Gymnastics - CARGO 2007 World Gymnastrada Team which performed in Austria. She also performed as "Thumbelina" for CARGO production when she was 6 years old. Madisyn has her bronze medallion for swimming. In case we ever practice near water, your children will be safe. Madisyn also enjoys biking, hot yoga and shopping. Madisyn is currently attends Red Deer College in the Education program, wants to be a teacher and hopes to travel the world. Kenyn "Kenny" is a former Level 6 Provincial Stream Rhythmic Gymnast. Kenny's over-the -top enthusiasm for rhythmic gymnastics, infectious smile, attention to details and caring demeanour make her an effective, positive influence for our young rhythmic gymnasts. Kenny wants to become a teacher in the future. Her favourite rhythmic apparatus are ribbon and clubs! ​We are so pleased she will be acting as coach this season.